Kaskey Kids' Football Guys inspire imagination and give children time to be creative by engaging them in open ended play where they control all the action. Football Guys is packed with value featuring a complete bundle of football action figures that make up two full teams, a realistic felt field, and other cool accessories packed into a handy storage container. 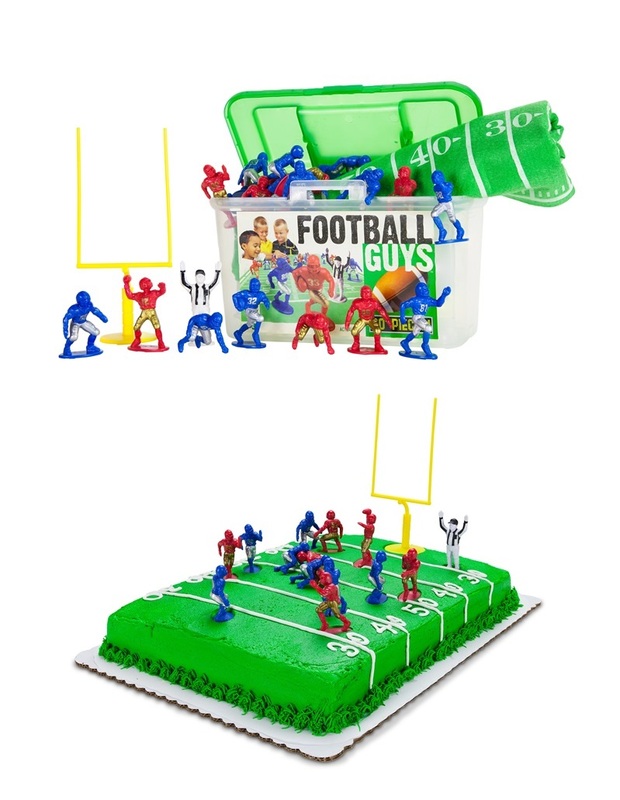 Not only are Football Guys great for classic play but also fun and educational when used as a visual teaching aid by coaches and parents; and even more fun when used as the perfect cake toppers, decorations, and centerpieces for sports themed parties and tailgates. Kaskey Kids has been featured by national publications like Sports Illustrated Kids and InStyle, is the winner of multiple Toy Industry awards and is a Certified Woman Owned Business. So many fun party options: Football watching party, Football themed Birthday party, Tailgate party, Coaching party to teach the game……have a blast! Kaskey Kids has already accepted a first round of participants and is not currently accepting offers.